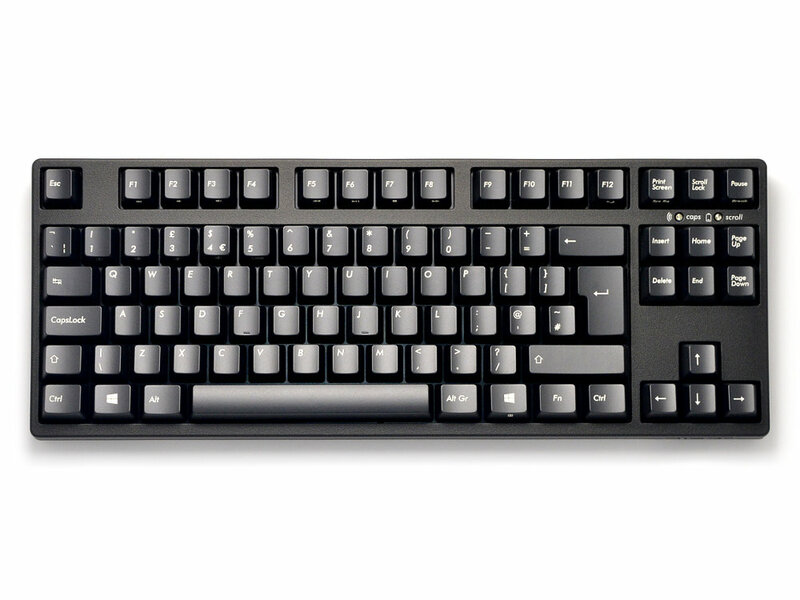 The Convertible 2 Tenkeyless keyboard from master keyboard makers - Filco. This keyboard is 'convertible' from a USB wired keyboard to a Bluetooth wireless keyboard, and you don't even need to unplug it from your PC. It combines the high quality typing feel of Cherry MX switches, steel mounted in a rock solid body all put together in a very slick package. These keyboards just make you want to type, now on all of your devices. Average battery life is about 6 months based on 5 hours use a day, the keyboard can be used without batteries, powered by a USB charger or PC. These are lovely keyboards. I've only really used it via the USB socket so far, so can't comment on the bluetooth support. Before I chose what to buy I was lucky enough to be able to try a few boards with different switches in. I had expected myself to prefer MX Brown switches, but found that the tactile bump arrived a bit too soon (it confused my brain, and threw my typing off kilter). I thought this meant that I found browns too light, and that (therefore) I'd find MX Reds too light as well. And I do; I find reds too sensitive and I get a lot of accidental key presses. Silent reds are nominally the same weight as normal reds, but for some reason I don't produce the same accidental characters when typing on this board. So I interpret this as the silent switches feeling slightly firmer than normal reds. When I was testing different keyboards I also got to try Topre switches, MX Blue, Brown, Black and Red, in a variety of different boards. The base that the switches are mounted on really does make a difference to how a switch feels, and the platform that Filco mount their boards on is very very solid. 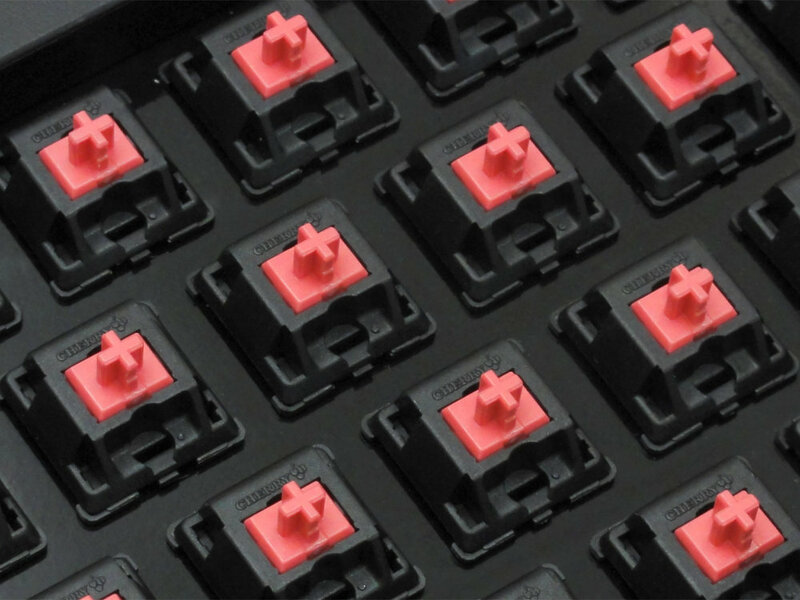 I think my preference for MX Silent Red switches is probably a preference for MX Silent Red on Filco; they might not feel quite so solid on a lightweight plastic chasis. I've since tried a Vortex Poker 3 keyboard with MX Clear switches (which have a tactile bump, but are a bit heavier than browns). And I really like those too. Silent Reds are a lot lighter than Clear switches, but they have a certain positivity to them that I don't experience when typing on standard reds or browns. 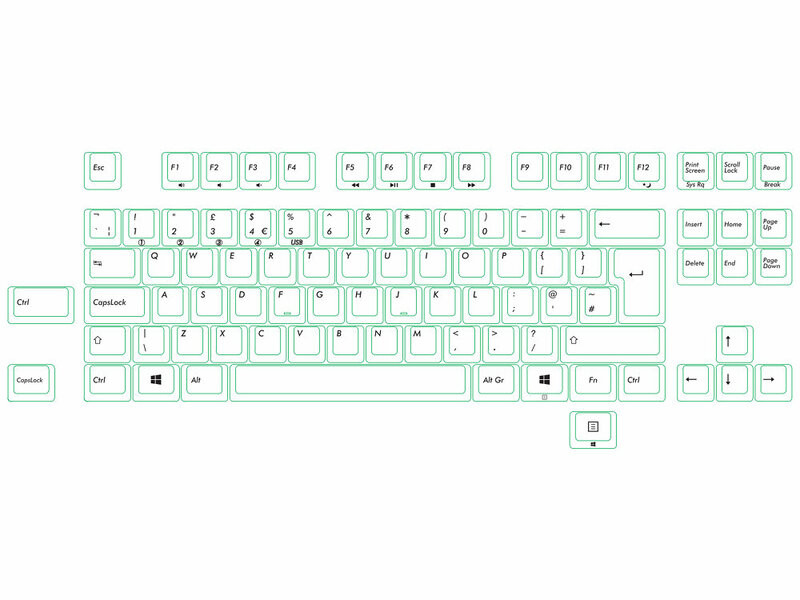 Since I bought my Filco I've spent a little too much time online reading about mechanical keyboards, and became interested in the different kinds of plastic that are used to make the keys themselves (or keycaps). ABS and PBT are two popular options. They also come in different shapes, or profiles (e.g. DSA, DCS, SA, Cherry, OEM). 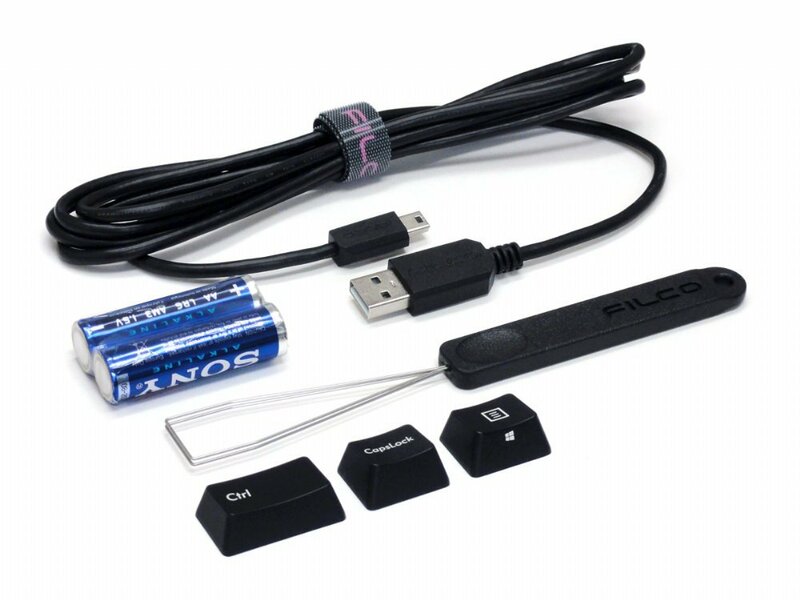 Filco use ABS plastic and an OEM profile. They're good, but I grew up typing on Cherry profile keys. While similar, they feel ever so slightly different. So I bought a set of blank keycaps in Cherry profile, made from PBT plastic. The texture of the PBT is slightly less smooth, and the board now feels very luxurious to type on. I can't imagine a nicer board to type on. Very happy with keyboard and service! First pairing of each of the 4 slots easy. Switch to usb is automatic on plug in. Layout (ISO) and key travel are great. I got silent red switches which are noticeably quieter in both directions of travel than Brown, and noticeably heavier. Very pleased.